With branches in every major South African city, leading quality fluid conveyance solutions provider Incledon has a formidable national footprint. This allows it to target many major water-infrastructure projects in the country at present. DPI Trading, a division of the larger national Incledon Group, has been involved in a range of major infrastructure projects. 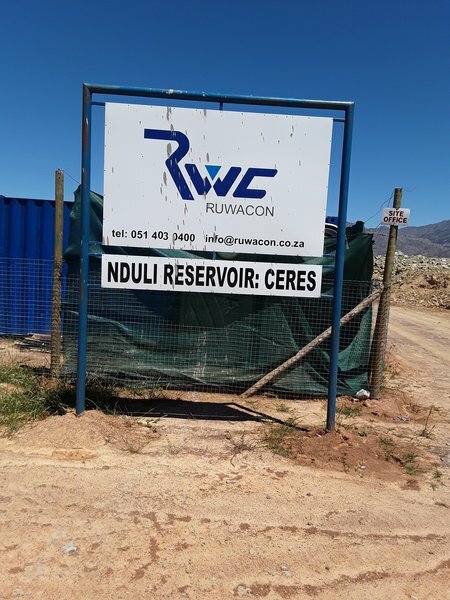 These include supplying a range of pipe and fittings to Ruwacon Civils, the main contractor on the Nduli Reservoir project in Ceres for the Witzenberg Municipality. This 4.5 megalitre reservoir will not only supply water to the existing Nduli community, but also cater for future low-cost housing developments. The project commenced in March 2017, and was completed at the end of January this year. 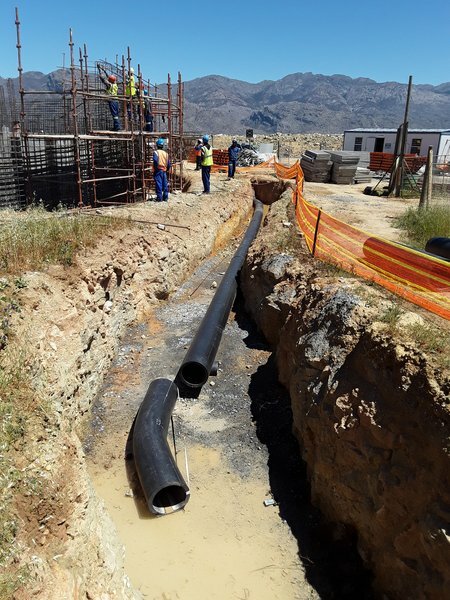 DPI Trading also supplied 2.12 km of ductile iron pipe to contractor Afriline Civils for a R1 million water pipeline project on the West Coast for the Moorreesburg District Council. 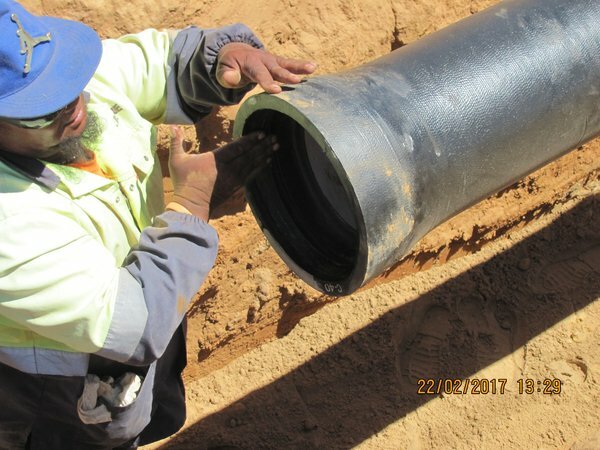 The main aim of this fast-track project was to replace 2 120 m of old asbestos of the F4 water pipeline with 250 mm DI Class C40 pipe, including scour and air valves as required. 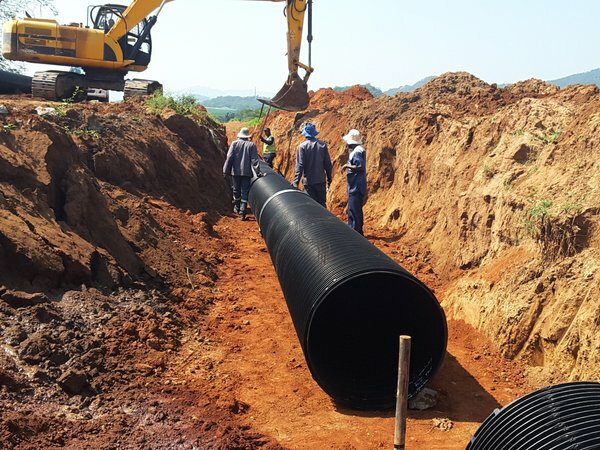 Incledon Nelspruit supplied 6 km of PE100 800 mm steel-reinforced spirally-wound HDPE pipe for the Tekwane South integrated human settlement project, which consists of 722 Breaking New Ground (BNG) houses and walk-up units for 500 households. 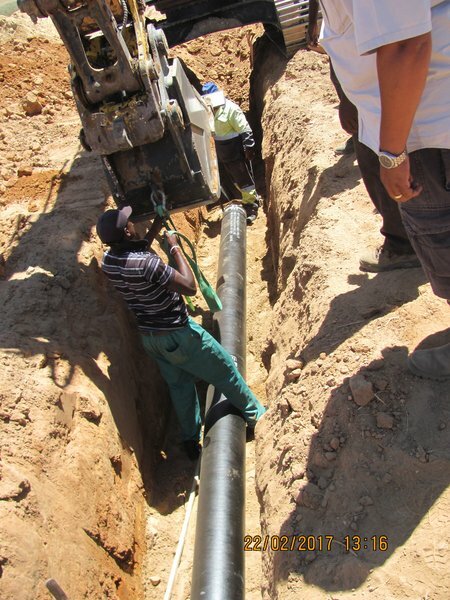 The sewer pipe forms part of the bulk infrastructure, running from Tekwane South Extension 2 to the wastewater treatment. 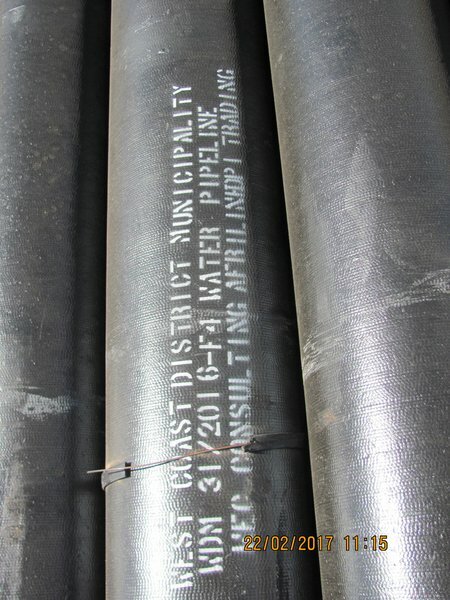 The pipe was made from reinforced polyethylene, formed by integrating HDPE with steel strips. The pipe itself was manufactured by Amanzi Stairway of East London. Incledon Bloemfontein reopened its doors in November 2017, and was relaunched officially in January 2018. It will service the civil, irrigation, mining, and industrial markets in the key Free State area. In late 2017, Incledon KwaZulu-Natal relocated to new premises in Prospecton, Durban, with the added benefit of quicker service delivery and improved stock-control processes. As an integral coastal branch, Incledon KZN forms part of the group’s national footprint. Its staff has a combined 35 years’ expertise in civils, end-user engineering, and the wholesale market. The Incledon Group currently stocks over 15 000 preferred products. These include highly-recognised brands of pipes, fittings, flanges, valves, pipe couplings, pipe working tools and threading machines, HDPE, mechanical compression fittings and Electrofusion systems, surface, dewatering and borehole pumps, water meters, plumbing and related products for the engineering, industrial, mining, agricultural, OEM, municipal, civil infrastructure, plumbing merchant and irrigation markets. “Incledon distributes products utilised in the conveyance of water, gases and liquids. We have the largest and widest consolidated quality product offering in order to service the industries we operate in, and are well-positioned to take advantage of the government’s infrastructure development programmes,” Incledon CMO Kelly Wilson explains. Today Incledon has branches in every major South African city, with a formidable national footprint, including Bloemfontein, Upington, Cape Town, Durban, East London, George, Johannesburg, Mbombela, Polokwane, Port Elizabeth, Secunda and Rustenburg in order to ensure that customer service remains the top priority. “What makes Incledon different in a highly-competitive market is the fact that we represent the top brands in our industry, and that we are truly focused on providing our customers with dependable and reliable service levels to build and nurture these relationships,” Wilson highlights. Incledon also supplies industry-related products such as manhole covers and frames, in addition to ancillary pipe equipment such as pipe cutting, threading tools and wrenches. “While our core product range and competency is pipe, fittings, jointing and valves, we have the necessary flexibility to be able to meet a range of requirements and specifications,” Wilson concludes. To download hi-res images for this release, please visit http://media.ngage.co.za and click the Incledon link to view the company’s press office. Incledon stocks over 15 000 preferred products and provides a wide range of approved and highly recognised brands of pipes, fittings, valves, flanges, rigid pipe working tools & threading machines, HDPE, compression fittings, pumps, electro-fusion fittings, windmills, sprinkler systems, water meters, residential, commercial & golf irrigation systems, plumbing products and related products used in the engineering, mining, municipal, civil, plumbing merchant and irrigation markets. All product and company information available at www.incledon.co.za.